I was trying to research the age of some of the old barns and houses in the Cuyahoga Valley one evening when I stumbled upon a website that seems to be an inventory of all the federally owned structures in the National Park. 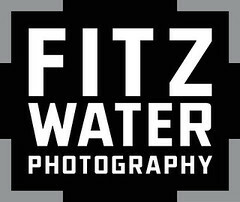 Most pages have the construction dates, historical significance, and a photo of the site - its a treasure trove for a local history nerd like me. One site that instantly intrigued me was titled, "Yellow Creek Culvert (O. & E. Canal)". I looked at the photo and realized I was driving over something historic everyday that I didn't even know was there. 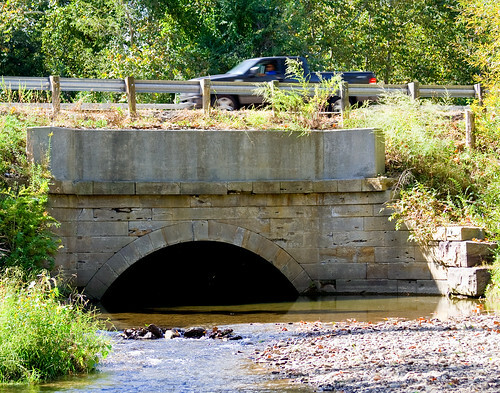 "Constructed in 1844, the state built the Yellow Creek Culvert. Prior to that time, the O&E Canal crossed Yellow Creek by means of an embankment. Silt deposits from the creek frequently clogged the canal causing the necessity of a culvert. The Yellow Creek Culvert functioned for the remainder of the canal's operational life and was not rehabilitated during the early 1900s. During the 1930s, the Works Progress Administration built Riverview road south from Everett destroying the canal basin in this section." Two days ago I took the afternoon off work and stopped to snap these photos. The culvert is right by the Bath Road/Riverview Road intersection - you won't even notice it from the street. 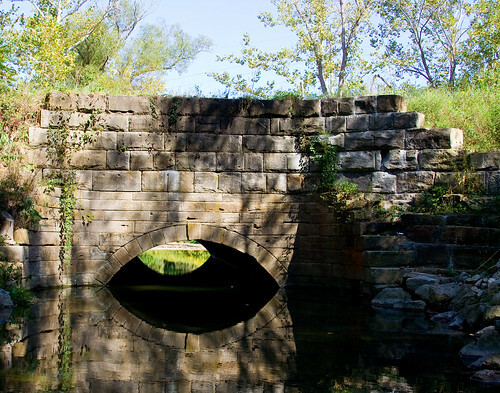 "The Yellow Creek Culvert is a semicircular arch culvert constructed of cut sandstone blocks.The culvert's east headwall is formed by voussoirs creating an arch. The keystone of the arch is plainfaced and extends slighltly beyond the voussoirs. The west headwall contains the same treatment as the east but has been extended in height, possibly during the construction of Riverview Road." They didn't mess around when the built things back in the day. 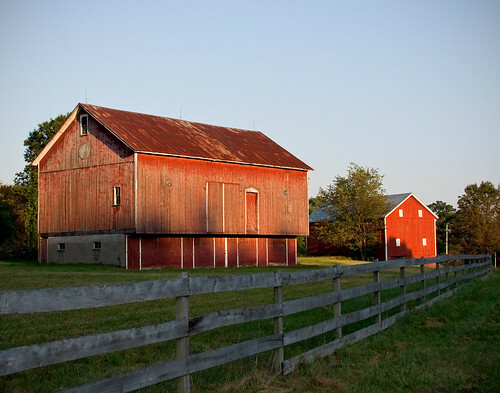 These barns were part of the Cranz Farm that existed prior to the creation of the Cuyahoga Valley National Park. They are on Ira Road next to Old Trail School, which itself sits on former corn fields that the Cranz's donated to the school. At Szalay's we farm one of the former Cranz fields on a lease from the park. The farm was originally founded by the Hammond's in 1810 who were contemporaries of the Hales(Hale Farm etc).